Welcome to the link party everyone! If you missed last week’s features, be sure to take a moment to be inspired here. There are some uber amazing tutes & tips you won’t want to miss! This week, I’m thinking about shaking things up a bit. Instead of doing one majorly long feature post, I’m going to try and break it up into several smaller posts throughout the week. I think this will help YOU get more exposure, and it will help me reclaim my weekend. I’m spending HOURS every weekend going through your links, and although I love the inspiration, Matt would like his wife to take at least one day off :). Husbands. Sheesh! We’ll try it out this week and see how it goes and if we decide we don’t like it, we’ll switch it back! 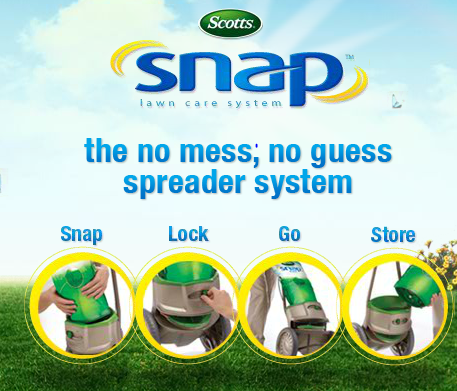 By the way, if you’re looking for a fantastic no mess no fuss way to fertilize your yard, you’ll want to hop over to my giveaway page and leave a comment to enter the Scotts Snap Spreader System Giveaway. You just snap in your fertilizer Snap Pac and then push the spreader around your yard and let the magic happen! Thank you so much for hosting. Lots of great links this week! So excited to link up again this week! Thanks for hosting! Hi Beth! Thanks for hosting! Thanks for the party Beth!!! Have a nice week! Beth, thank you so much for hosting!!! Beth, thank you for hosting! Thanks for hosting. Looking forward to your features throughout the week. Great idea. I think sharing a few throughout the week is a great idea Beth! And YES! You need to take a day off! 🙂 LOVE your blog! Thanks so much for hosting Beth. I hope you have a wonderful Tuesday. Thanks for hosting! Blogging does take over our lives if we are not careful. Good luck with the new disciplinary action. Love you link parties as they give us so much inspiration as well as generate traffic for us as well…so a giant THANK YOU for all your work hosting-it doesn’t go un-noticed! Thanks for hosting! I clicked through on your sponsored post too! Love a gorgeous green lawn! Thanks for hosting! This is my first time linking up to your lovely party! Thanks for hosting! Yep, spacing it out sounds good. gotta keep husbands happy! Especially when they are married to a blogger!